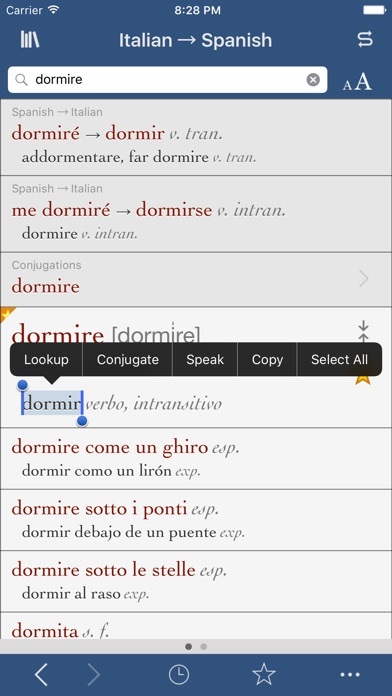 Top-selling dictionary apps since 2008 • Basic translations from Vox PLUS verb conjugations in all tenses • No internet connection required! 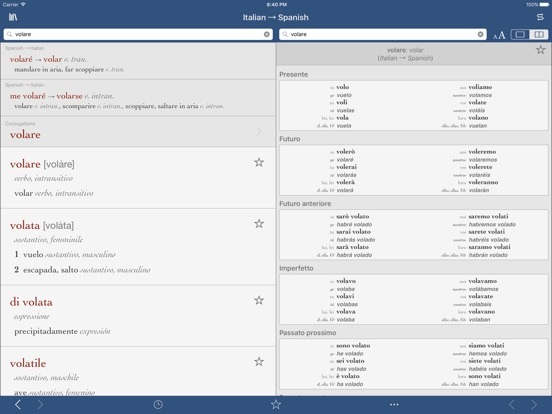 Vox Spanish-Italian dictionary has basic translations along with extra features that help you get the most out of the dictionary. 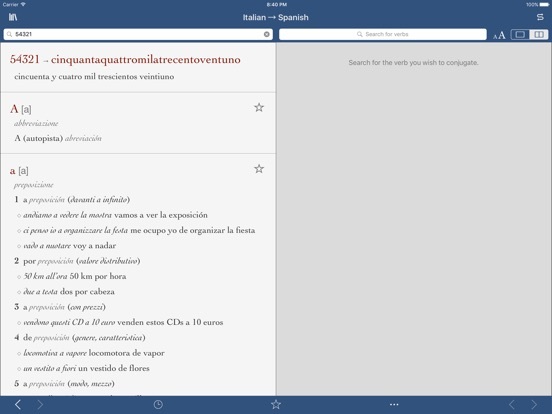 The verb conjugation tool has complete conjugations for thousands of verbs in all standard forms, and the number translator converts numerals into Spanish or Italian text instantly! 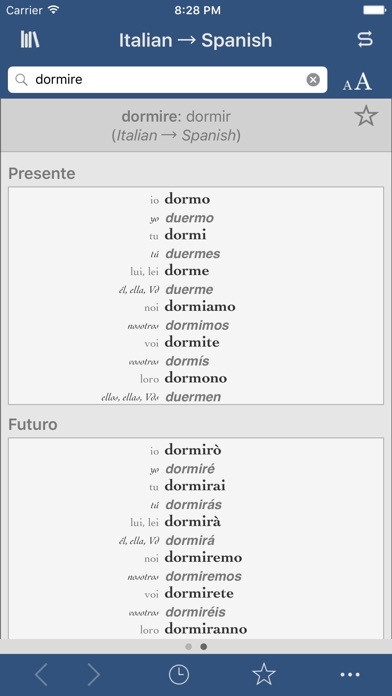 Vox is one of the best sources for language data in the world, made even more useful with the functionality Ultralingua provides. 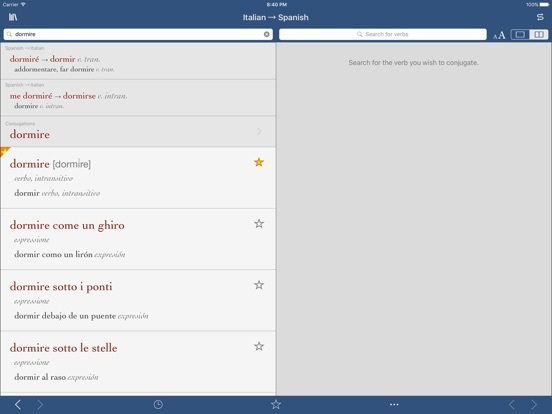 This app includes essential entries, verb conjugation, number translation, a history function, and much more. 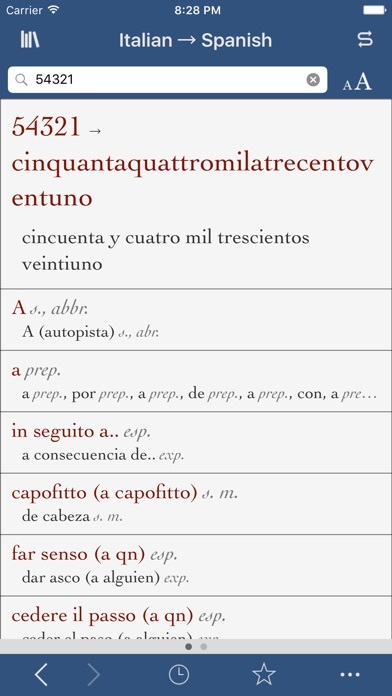 Other Apps by Ultralingua, Inc.